Sunday night Rep. Ilhan Omar (D-Minn) united both Democrats and Republicans in outrage when she accused a lobbyist group of bribing members of Congress to support Israel. 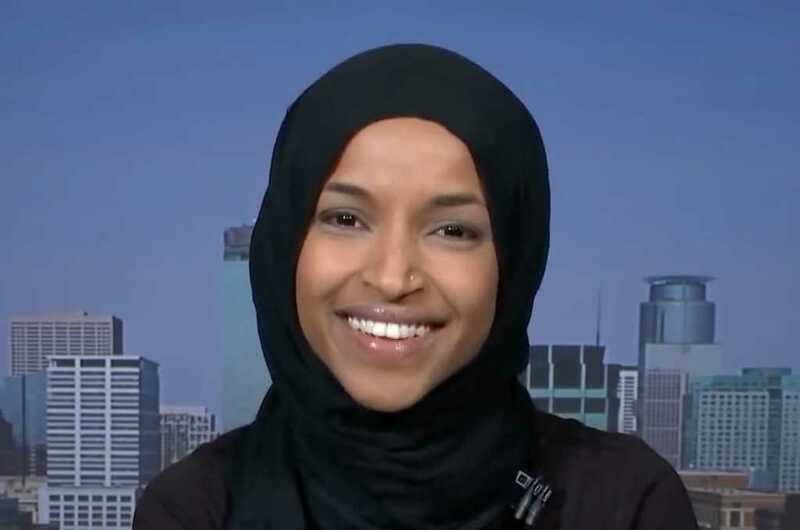 Omar, who was elected in November, previously faced criticism for anti-Semitic comments during her first few months in office. This past weekend, she heightened tensions, when she tweeted about a well-respected lobbyist group paying politicians to be pro-Israel. It all began when Omar replied to a tweet from journalist Glenn Greenwald. Batya Ungar-Sargon, an editor at Forward, quoted Omar’s tweet, asking the congresswoman who she thought was paying American politicians to be pro-Israel. “That’s the second anti-Semitic trope you’ve tweeted,” Ungar-Sargon added. “AIPAC!” Rep. Omar shot back, referring to the nonprofit, American Israel Public Affairs Committee. And that was just the beginning of the pushback Omar received from both sides of the aisle. Democratic leaders were quick to weigh in, condemning her actions and words in a joint statement. “Congresswoman Omar’s use of anti-Semitic tropes and prejudicial accusations about Israel’s supporters is deeply offensive,” read the statement signed by Speaker Nancy Pelosi, Leader Steny Hoyer, Majority Whip James E. Clyburn and others. “No one with her anti-Semitic views should be allowed to represent US foreign policy on that committee,” he argued. “There is absolutely no place for this rhetoric in Congress — or anywhere,” he noted. The problem with @IlhanMN “critiquing Israel” is that her comments are almost never about Israel, but perpetuate and promote Jewish conspiracies. She does not attack their government, she attacks their people. After incredible pushback, which included being reprimanded from her own party, Omar took to Twitter to loosely apologize for her previous remarks. The congresswoman wrote: “listening and learning, but standing strong,” with an attached apology. Omar’s anti-Semitic comments are nothing new. After she was elected in November, she, for the first time, expressed her support for the violent Boycott, Divestment, Sanctions movement. Later, an anti-Israel tweet Omar wrote in 2012 surfaced. “Israel has hypnotized the world, may Allah awaken the people and help them see the evil doings of Israel. #Gaza #Palestine #Israel,” she wrote. Many vocalized that Omar should be removed from the House Foreign Affairs Committee because of her past and more recent anti-Semitic comments. Rep. Liz Cheney (R-Wyo.) was one who voiced such worries. On Monday, she took to Twitter to urge House Democrat leaders to have her removed. So far, Omar has received zero lasting repercussions for her harmful comments.